Betar (Khirbet el-Yahud) is situated southwest of Jerusalem near the Arab village of Bittir, its northern side flanking the Rephaim Valley. The Roman road from Jerusalem to Gaza passed in the valley to the north of the site. Betar is surrounded by deep valleys on all sides except the southern, where a topographical saddle connects it to the hill to the south. The approach to the settlement must have been from this side. The main source of water is a spring located to the east of the site. Khirbet el-Yahud is unanimously identified with Betar, the last stronghold of the Second Jewish Revolt (132–135 CE) against the Romans, where its leader, Bar-Kokhba, found his death in 135 CE. The ancient name was preserved in the name of the Arab village Bittir, and the Arab name of the site—Khirbet el-Yahud, that is, “ruin of the Jews”—keeps the memory of the Second Revolt. The identification is supported by the results of the surveys and the excavations. Betar is first mentioned in the list of places in Jos. 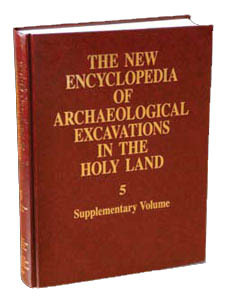 15 in the Bethlehem district; the name was preserved solely in the Septuagint (verse 59a—Βαιθηρ). The Roman siege of Betar in 135 CE, the conquest of the settlement, and the slaughter of the besieged, including Bar-Kokhba, which put an end to the Second Revolt, is mentioned in both Jewish and Roman sources, namely the Talmud and the Midrash, and Eusebius (third–fourth centuries CE), in his book on the history of the church.